Join us from March 25-29 9:00-12:00 in the Marshall Science Building for our Spring Break Science is Fun Day Camp! Camps are available for grades K-12. Marshall University Math Professors will be teaching weekend cram sessions for the ACTs the weekend before each ACT session this year!!! Use your creative thinking and hands on skills to master new techniques! Learn basic programming skills and build your Minecraft computer, that you get to take home! Learn about animals. You might even get to hold a few live specimens! Learn about water qualities and what makes a healthy stream ecosystem! Since 2013, the Marshall University College of Science has been hosting K-12 camps, Lego robotic teams, academic tests prep sessions, and science festivals. Every year we have expanded our offerings and hope you will allow us to show your child a unforgettable experience. With Science, Technology, Engineering, Arts, & Math, full STEAM ahead with idea that can learning can be so fun. All camps and programs include hands-on science, include creativity and art, and we sneak math in at every opportunity (and the kids don’t even notice it). With camps spanning many fields such as astronomy, biology, coding, chemistry, physics, engineering, microscopy, anatomy, microbiology, and computer programming, your child will explore through both hands-on and activity based learning. The camps offer the opportunity for your child to enrich their science education and see what real science is all about. Our camps are staffed with MU professors, graduate students, and local professionals to ensure your child is being taught by people whose careers are science based. Camps range from 2:6 to 3:24 staff-camper ratio permitting very individualized instruction. 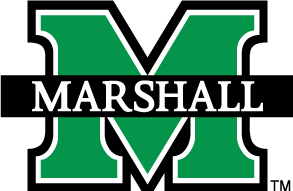 These camps will give your child an opportunity to explore careers in the sciences and, since these camps are in Marshall University laboratories, it’s a great peak to see what college has to offer! For more information, please contact us at WVScienceAdventures@gmail.com.